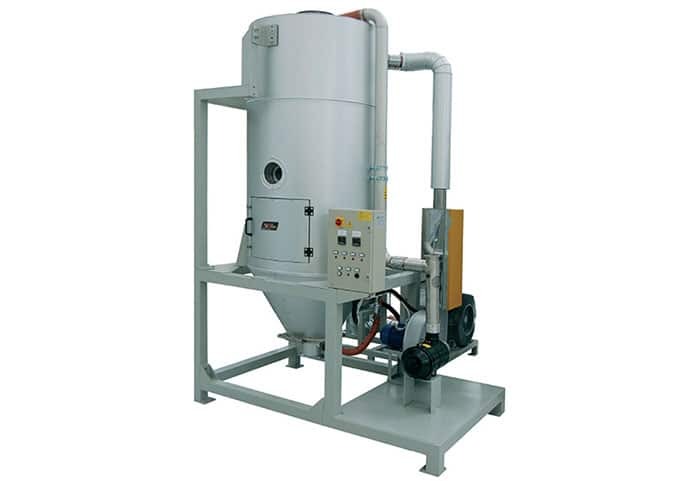 A simplified dryer designed to remove surface moisture from non-hydroscopic materials like PP and PE. Also suitable for PS, ABS and PVC. Stainless steel hopper with glass fibre insulation equipped with a diffuser cone. Hinged covers where you can install single-phase/three-phase hopper loader. Hopper sizes available from 30-2500L.